I would like to see St Maries celebrating mass on a sunday also mass for the children in the week and to open it up to the public. 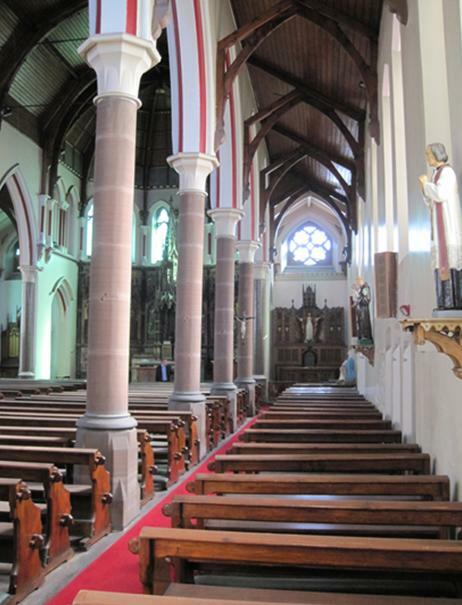 Thank you for visiting our blog and for sharing your memories of St Marie’s. 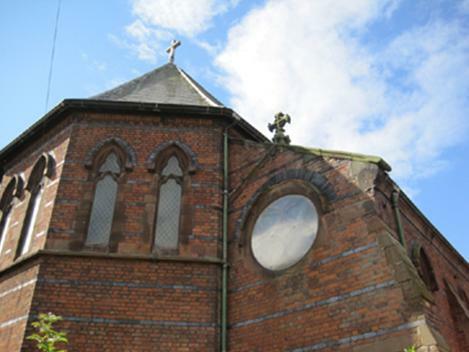 We are hoping to re-open St Marie’s so that once again, you’ll be able to sit inside the Church, take a moments reflection and enjoy the altar, Stations of the Cross, stained glass windows etc which will have been restored to reflect how the Church looked in it’s heyday. 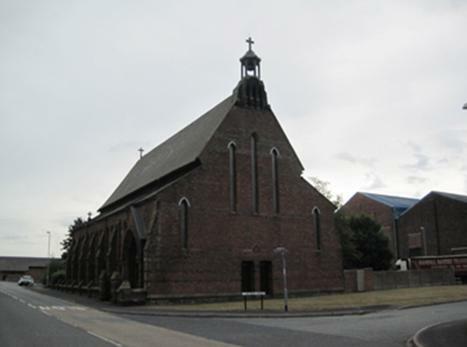 I’m afraid that there won’t be any religious activities (such as mass) taking place within St Marie’s, but I hope you’ll visit the Church to enjoy the displays about the history of the Church and the important role it played in the community and that this will enable you to take an enjoyable walk down memory lane. If you have any further questions, please don’t hesitate to give me a call on (01928) 593 118.
in 1968 or near about,, you know what fathers and dates are like ?? 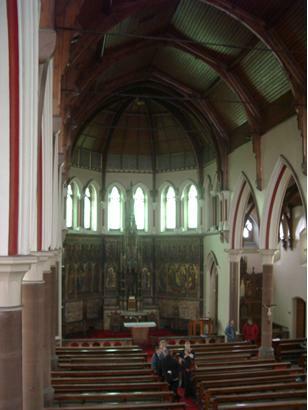 E W Pugin, the son of Augustus Pugin designed St Marie’s. 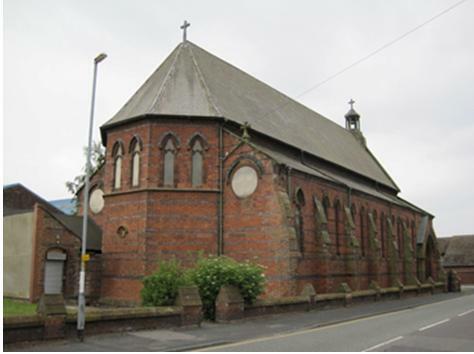 A beautiful Church that served Moss Bank, Lugsdale, Marrabone and Newtown and all the houses up to Lowerhouse Lane and much of the old Town Centre. My dad Joe McCann taught at St Marie’s. We call went to school there, confession, first communion etc and I sang the benediction hymns with Val Casey and Irene Woodward on Sundays. Hope it’s soon back looking as lovely as it did all those years ago. I loved the May processions. St Maries Church was just beautiful. It was such a sad day when it closed. So many happy memories. Looking forward to seeing inside again. 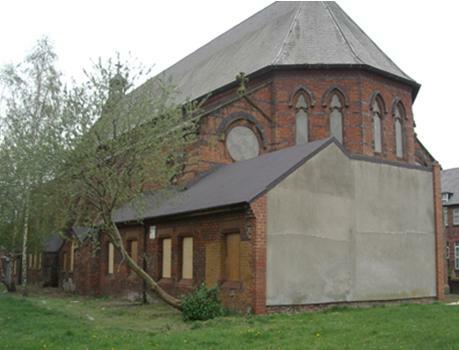 Been following the redevelopment of St Maries via this site for a while now, just been looking at the final pictures. I too attended St Maries from nursery school (used to be at the back of the church if I remember right) through infants then juniors (seperate girls and boys back then),mass every Sunday, 1st confession,1st communion… I hadn’t been inside the church for a long time before it closed and I’d forgotten how beautiful it is. I,m so pleased you’ve managed to keep and restore so many of the original features, the stations of the cross and statues ect. Congratulations to everyone involved, you’ve done a great job and a lovely old building is getting a new lease of life instead of falling into ruin. So good luck in your new base and I hope to be able to pop in soon and see it all for myself. I was baptised and married in St Marie’s. Have wonderful memories of my time at the infants school before going to Notre Dame in St Helens. A couple of years ago, when on holiday from Australia, I was fortunate enough to attend a talk on Industrial Widnes and whilst there caught up with several “girls” who attended St Marie’s primary with me. I’ve kept in touch with them since. Even though I’m now living a great distance away and it was a long time ago it just seems like yesterday. St Marie’s will always dwell in a little corner of my heart. Ellice Viggers (was Tobin). We discovered we are cousins!